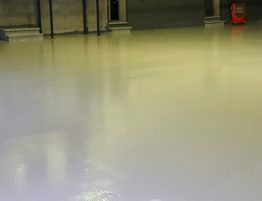 Advanced Flooring Systems (AFS) recently helped Young’s Seafood upgrade the floor system in the production area of their Kilkeel facility. Young’s Seafood is the leading seafood manufacturer in the UK, sourcing over 30 species from 5 continents. 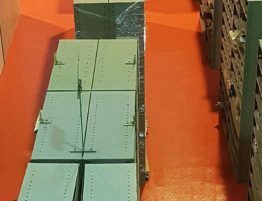 With years of experience in helping fish manufacturers upgrade floor systems, Young’s selected AFS once again to help them upgrade their floors in the production areas of their Kilkeel facility. 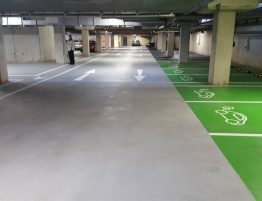 Unlike other flooring contractors, AFS is able to specify the best flooring system to suit a project’s requirements rather than promote one particular product manufacturer. After onsite consultation with the client, AFS recommended a MPM Duroglass P5/4 high build system. 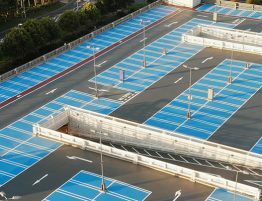 AFS always recommend specialised surface preparation for every project to ensure a successful flooring installation. 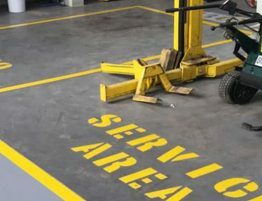 AFS do not subcontract this vital stage out, but rather use their own in-house specialised surface preparation division. 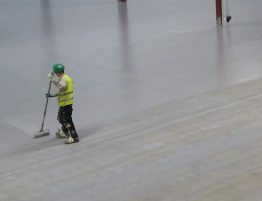 AFS started the project by removing the failed coating system using vacuum diamond grinding on the main floor area and vacuum-assisted hand-held grinders for edges and other small tight areas. 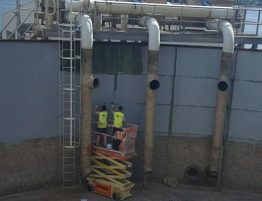 Following preparation, AFS then installed a MC Dur 1365HBF Primer to the prepared substrate. AFS then installed a MPM P5/4 high build system, scattered with decor quartz. 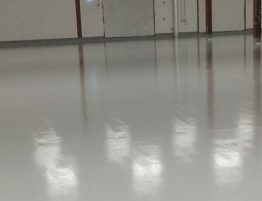 To complete the project and give the floor additional protection properties, AFS installed a MPM P5/1LV high protection sealer coat. The new floor system supplied and installed by AFS, gives Young’s Seafood a high build and decorative system that is perfectly suited for the fishing industry.